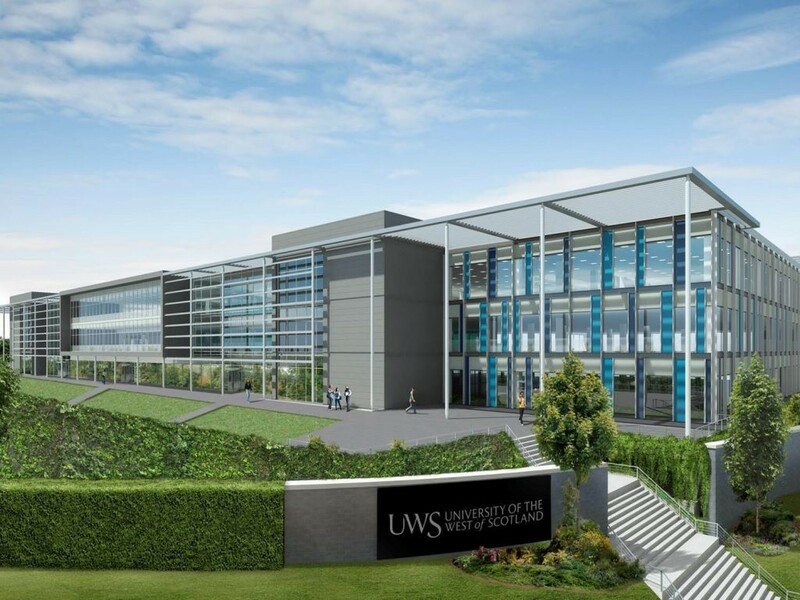 The University of the West of Scotland is pushing on with plans to build a 38-acre campus at Hamilton International Technology Park, with the formal sign-off of contracts for the build. Delivered in partnership with South Lanarkshire Council the Mosaic Architecture designed scheme will offer a range of specialist labs, teaching facilities and social spaces as well as homes, sports facilities and a student union. ExoCampus will be the focal point of a wider regeneration masterplan the scheme will also enhance collaboration with existing businesses within the enterprise zone. Professor Craig Mahoney, principal and vice-chancellor of UWS, said: “Our new campus marks a significant stage in the development of UWS and will be a major boost for Lanarkshire bringing exciting social and economic benefits, as well as creating the go-to study destination for students from across Scotland, the UK and further afield. It is expected that construction work will begin next month for completion by 2018, allowing the university to vacate its current premises on Almada Street, just two miles away, to the edge of town site. This encapsulates everything that is wrong with Scotland. We have Hamilton, a previously thriving market town which, for some reason, decided to build a out of town retail park in the town centre, hence killing off the high-street. Now, rather than rebuild the town core, they are directing 10,000 people to a business park in the middle of nowhere that can only be accessed by car. UWS is currently between two train stations and semi-decent bus routes across Lanarkshire. Whatsmore, the students probably help support a good few of the local businesses. Hamilton deserves what it gets. Shambles of a place.